I have dipped in and out of Living Nature products over the years. Living Nature’s website goes into great details about their commitment to using safe ingredients and respecting environmental issues. It’s a New Zealand company which uses 100% natural ingredients, preservatives and fragrances, and certified natural by BDIH Germany. Packaging is recyclable, free from BPA, Phthalates, dioxin and elemental chlorine. Living Nature do not test on animals, they do use some animal products (beeswax, honey and lactose) but promise they are “obtained using industry best-practice methods”. 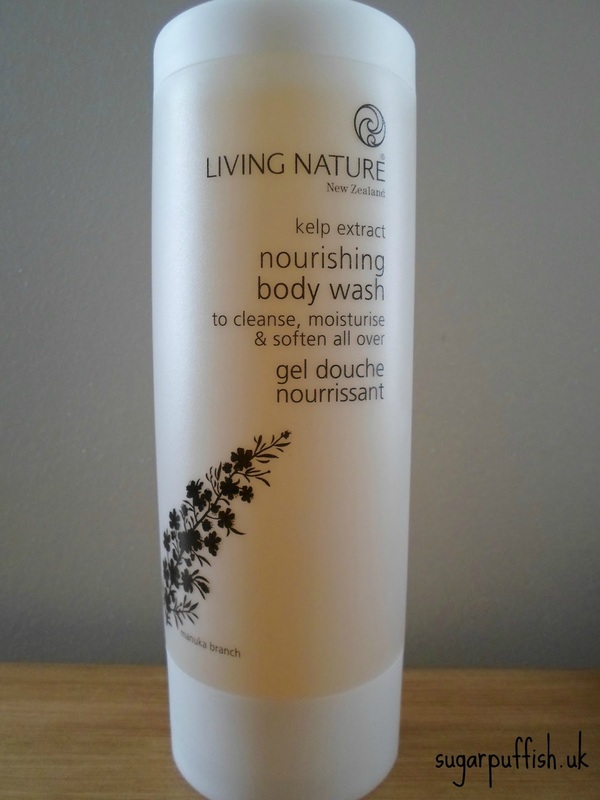 I have been using Living Nature Nourishing Body Wash* which claims to “cleanse, moisturise & soften all over”. The standout ingredients in this wash are manuka honey, ginger, kelp and shea butter. For me, the fragrance is mainly from ginger, which gives it an unusual twist on the floral scents I tend to favour. I do have one criticism with Living Nature products, they list Parfum in the ingredients but do asterisk that it is from “natural essential oils”. Companies are allowed to do this but it’s a pet peeve of mine because we don’t get full disclosure of all ingredients in the product. This can be a concern when you have allergies. This Living Nature body wash produces creamy foam when used in conjunction with a shower puff. For your reference, the foaming agents are Decyl glucoside and Sodium lauroyl glutamate. I would agree that it does live up to the claim to moisturise and soften as I have not noticed any dryness or tightness after showering. please note this product contains honey & Lactoperoxidase a "milk derived enzyme ingredient"
I love the Living Nature foundation although it is expensive, its worth it for me. This sounds lovely but I can't justify spending so much on shower gels knowing they just get washed down the drain ahaha!